AAC means Advanced Audio Coding, which is a technique for compressing digital audio files. AAC means Advanced Audio Coding, which is a technique for compressing digital audio files. It is officially part of the MPEG-4 Systems Standard and is most commonly applied for develop digital audio files. It is created to enhance upon and replace MP3 as the defacto Audio Encoding standard at medium to high bit rates. Just like MP3, the AAC format is an international standard, and is used by some well-known big companies, such Dolby, Sony and Nokia. 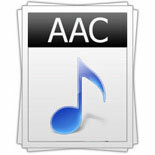 AAC is similar to the commonly used MP3 format. Like MP3, it has a function known as auditory masking that can support the discarding of data without fidelity loss. Also like MP3, AAC is a lossy algorithm, which refers to that the original digital audio cannot be redeveloped from the compressed bits solely. While regarding to audio fidelity, data will not be lost when the compressed audio is appropriately encoded. AAC has an a superiority compared with MP3 on this aspect: MP3 needs about 256 kilobits bit rate per second (kbps) to reach transparency, while AAC just requires 128 kbps to achieve the same quality. This makes AAC files to be almost half the size of MP3 files of the same quality, and one-tenth the size of CD digital data. AAC excels over MP3 in several areas. It is able to dealing with much higher and lower frequencies of sound, offers up to 48 channels of audio and supports the creation of low-latency audio that is required by two-way communication. 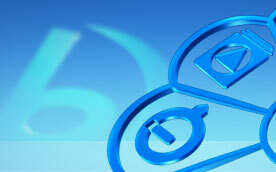 AAC also supports Digital Rights Management, or DRM, which can be applied to handle the audio file application. AAC takes another advantage over MP3 in low bit-rate compression, which is specially designed to appropriately deal with low bit-rate compression problem. No public, free version of the encoding/decoding algorithms of AAC is available, and this is different from MP3. The technology license from the VIA Licensing Corporation is required for each AAC user. AAC is an international standard approved by the ISO. It uses the MP4 container (based on Apple's MOV container) to store metadata. It supports several sampling frequencies between 8 Hz and 96 kHz, bit depths, and any number of channels (up to 48 channels). AAC utilized the modified discrete cosine transform (MDCT) as well as the increased window length of 2,048 points. AAC can be shifted accordingly between MDCT block lengths of 2,048 points to 256 points. 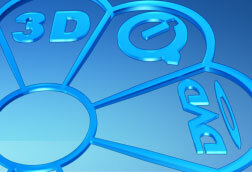 Several free and high-quality implementations are available and a few portable players support it.